A great way to find the right colour for you is to get the colour chart. 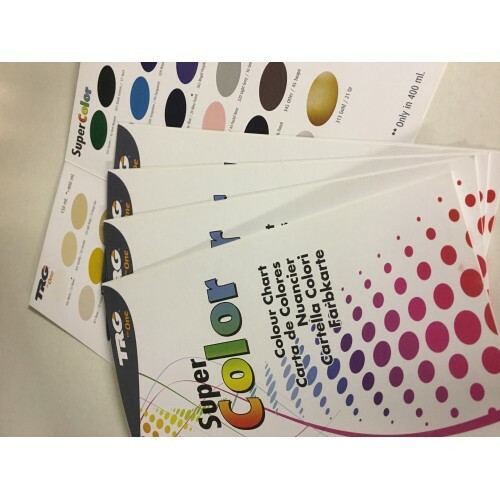 With the great TRG Colour Chart it even has little holes in each colour allowing you to place it on your item and compare, ensuring you get the very closest or even exact match. Affordable Shipping for EU countries. The cost is just to cover the costs of production and shipping in total. 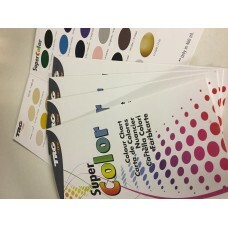 We've decided to charge for the colour charts and keep the cost of each can of Vinyl Dye down to the minimum. If you disagree, and think these should be free, do just contact us and let us know your thoughts.